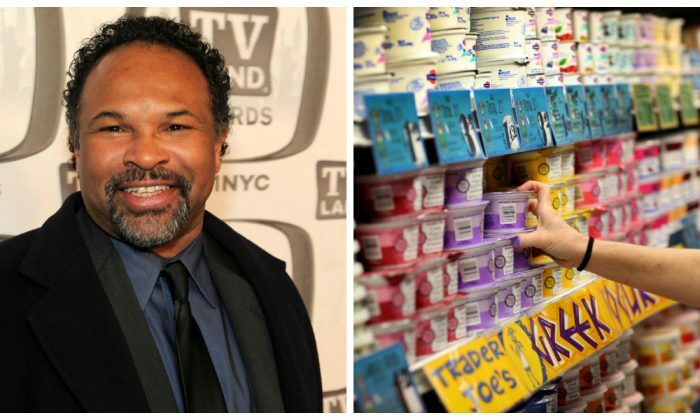 Having been shamed for his day job over the weekend, “The Cosby Show” actor Geoffrey Owens stepped up for himself and even received a job offer from director Tyler Perry. Owens was photographed working at a Trader Joe’s in New Jersey on Aug. 25, and the photos were published in Daily Mail and other publications. Although Owens was the target of a lot of negativity because of the news coverage and social media response, he chose to talk about it during his interview with Good Morning America on Sept. 4. “I was devastated, but the period of devastation was so short because my wife and I started reading these responses from literally all over the world. So, fortunately, the shame part didn’t last very long,” he told the show host Robin Roberts. Other celebrities also shared their thoughts and support on social media. According to The Grio, Geoffrey Owens has taught acting at Yale and landed roles on several shows, but no jobs have lasted more than 10 months. The job at Trader Joe’s had provided him a flexible schedule to go to auditions and make a living. However, Owens quit that job, which he worked for 15 months, due to all the attention he received making it difficult to work there. He’s now open to new job offers, but meanwhile, he’s being cautious about it. “I wouldn’t feel comfortable getting acting jobs from this event. I wouldn’t mind getting auditions. I wouldn’t mind people calling me in to try out for things. I want to get a job because I’m the right person for a job,” Owens told The Grio.